The 2017 NFL Pro Bowl is headed to Orlando for the first time ever – and On Location is giving you the opportunity to celebrate the NFL’s brightest stars of today and tomorrow in style. The Pro Bowl will feature 88 players – 44 from the AFC and 44 from the NFC – in a matchup of unprecedented skills and big personalities. This year’s roster, announced on Tuesday night, includes seven members of the Oakland Raiders, the most of any single team and six players from the Atlanta Falcons, including Matt Ryan, Julio Jones and Devonta Freeman. For the full Pro Bowl rosters, click here. In addition to the Pro Bowl game itself, the NFL has added a new twist to this year’s star-studded football weekend: a Pro Bowl Skills Showdown produced by the team behind American Ninja Warrior. The Skills Showdown will pit NFC and AFC all-stars against each other in four unique events. All events will combine to test the players’ throwing, catching, speed, agility, and other critical football skills in ways you have never seen before. The two squads will be coached by a group of football legends: Jerome Bettis and Ray Lewis of the AFC and Tony Gonzalez and Charles Woodson of the NFC; the winning team will emerge with NFL-sized bragging rights. 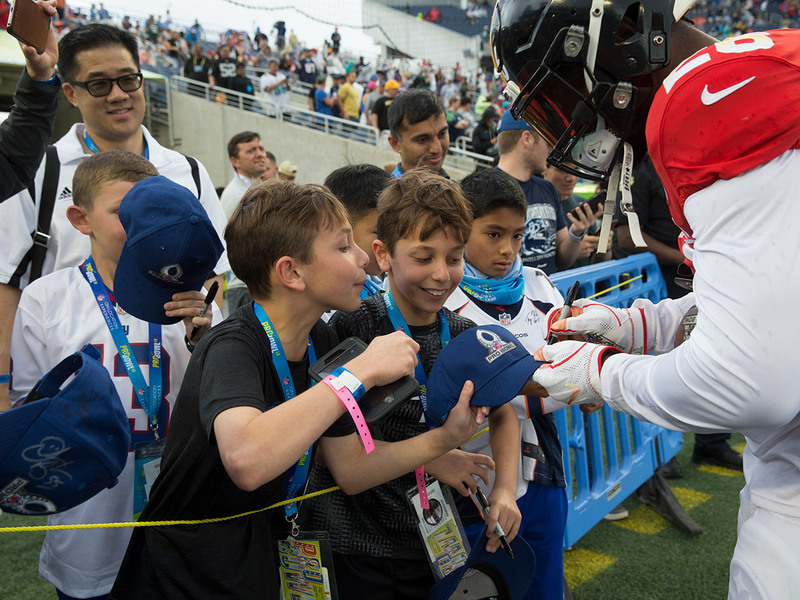 For more information about joining On Location for the Pro Bowl in Orlando, visit our Pro Bowl page.